Have I mentioned how much I love Fall? I'm pretty sure I've mentioned it one or two...or a thousand times. 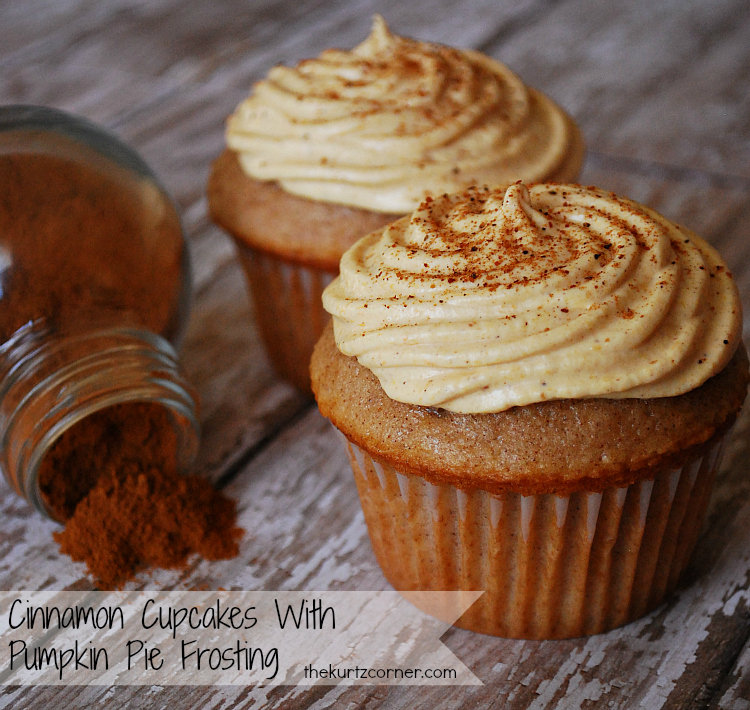 So, it should be no shock to you that I found a way to put my love for Fall into a cupcake form! These are really easy to make and taste like a slice of Thanksgiving in your mouth! Preheat oven to 325 degrees F. Combine cake mix, water, oil, eggs and cinnamon. Fill each lined cupcake tin 2/3 full and bake for 18 to 20 minutes. While the cupcakes are baking combine buttercream, pumpkin puree, cinnamon, nutmeg and cornstarch using a hand mixer on medium speed until well combined. If frosting is too thin, add more cornstarch. Allow cupcakes to cool before frosting. Garnish with a sprinkle of nutmeg. These look delicious! I am pinning this for sure! Oh man, that frosting. I want! Your photos are stunning! Those have fall written all over them! 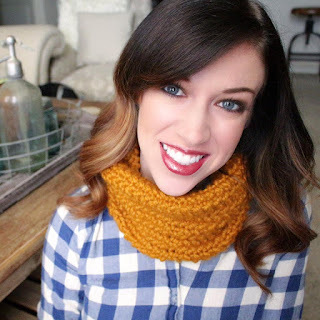 Pinning for when the weather gets a little cooler! These look yummy! Reminds me of the pumpkin latte that is all the rage at Starbucks. Those look yummy. Your pictures are wonderful. Oh my, I can't wait to try this. I love cinnamon and pumpkin. Yum! This is such a perfect dessert for the Fall. Please share it on foodie friday today and I will pin it too. Hi! I found your post at "I should be mopping the floor" and would love for you to share it at my link party at http://mommyssweetconfessions.blogspot.com/2012/09/sweet-confessions-sunday-link-party-6.html. See you at the party! Stop by the blog later today. You are being featured! Thanks for sharing this recipe. Can't wait to try it! I will have these next time you come to visit please with the coffee Justin makes me....yay!!! These cupcakes were incredible. And perfect for autumn. Unfortunately, I wasn't overly fond of the icing. I ended up making a batch of cream cheese icing, and mixing it with the pumpkin pie icing. It was amazing. Do you mean pumpkin pie puree? Or what do you mean by "pumpkin (not pumpkin pie mix)"? Do you have to use cornstarch in the icing? I never have any at home, and I don't use it for anything else. Yes, it is needed to thicken the icing. My frosting was way to thin.. and I even tried to add more cornstarch.. :( Now I'm sad. It is a very thin frosting, cornstarch should do the trick, but if not you can add a little more buttercream. Hi there, I was wondering when you mentioned the pumpkin are you saying that we take a whole pumpkin and we boil the pumpkin and we puree it on our own? B/c the only pumpkin I know is the pumpkin puree that I make the pumpkin pies from. Please let me know. You can buy a can of pumpkin puree at pretty much any grocery store. It is in the baking section. Be sure to buy pure pumpkin puree and not the can labeled pumpkin pie mix. So I made these... Can I use cream cheese frosting next time... I think my tongue would enjoy that. Or does it have to be the buttercream??? Consistency issues??? You can use whatever you like! 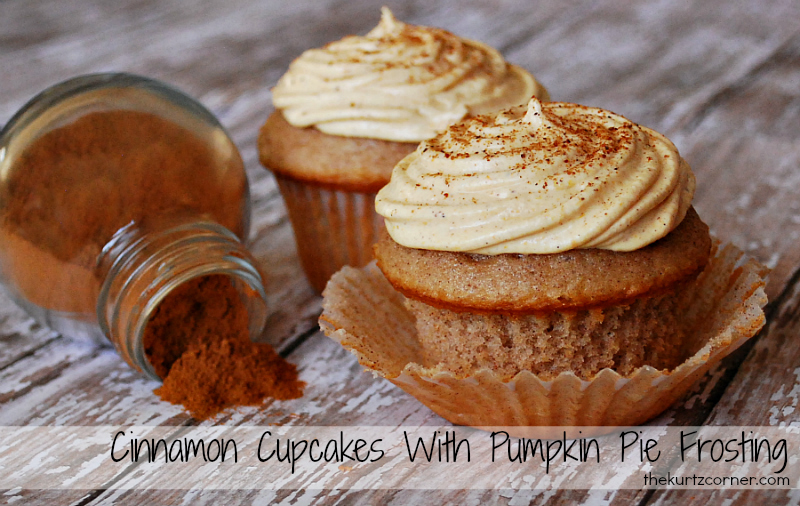 :) Im sure cream cheese frosting with a little pumpkin puree mixed in would be amazing as well! Are these made in a full sized cupcake pan or are they minis? Made these tonight ... AMAZING!! Making these for a party tomorrow night. Thanks! I really love the concept, but will have to search around for a different cupcake recipe as I plan on making it from scratch. I saw this on pinterest and went with the idea before actually reading the recipe and bought all the things I would need to make everything from scratch, including the sugar pumpkin! These are delicious! I made them for thanksgiving desert, one word yum! Will definetely make again! So glad you like them, Emily! Happy Thanksgiving! About how many cupcakes does this yield? I think I should win since our names are SO CLOSE! Anyway, here is the link. Love your photoshop online! Online Photoshop Free. What an awesome recipe! I followed the recipe to a t, except for the frosting. I made it according to the recipe, except I used cream cheese icing because they were out of butter cream at the store. The icing wad pretty thin, so I added about 1/2 cup of powdered sugar and it was phenomenal!! Thanks again!! Great, like your photos, Photoshop Online Free Looking for upcoming posts.